For those who are looking for the latest innovation in book design, we are now offering a wood-engraved cover upgrade for our 10”x12.5” and 12”x15” Earth Greenland books. The covers are created using a laser-etching machine with amazing results. Almost any design can be etched, including wedding monograms and logos. 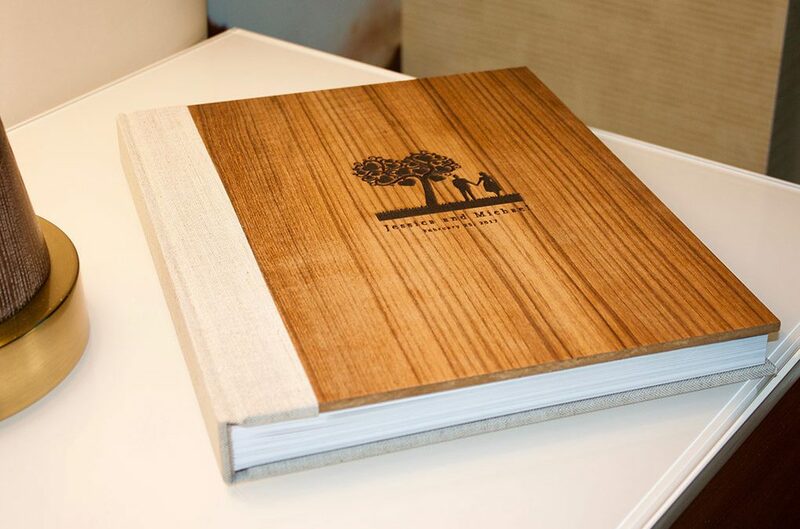 The burnished wood adds dimension and depth and provides an extra “wow” factor to make your book really stand out. This cover was a big hit with attendees at last month’s WPPI conference. If you have a client interested in this unique style and want to create a custom cover for your book, please contact us at support@couturebook.com for more information.